Researchers at the University of Vermont and the University of Michigan recently reported an 81% success rate using connected health devices and artificial intelligence (AI) technology to detect “internalizing disorders” in children between the ages of 3 and 7. The results of the study were recently published in PLOS One, a peer-reviewed open access scientific journal published by the Public Library of Science. In the report, the researchers concluded that the results demonstrate that 20 seconds of wearable sensor data extracted from a fear inducing task can help identify young children with internalizing disorders at a high level of accuracy and specificity—when combined with machine learning. Internalizing disorders refer to disorders that individuals keep problems to themselves, or internalize them. The researchers hope that in the future, such an approach can be fine-tuned to more accurately screen children for internalizing disorders. 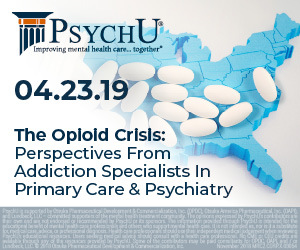 The University of Michigan’s department of psychiatry’s mission is to produce impactful research that promotes positive mental health, improve access to care for all people in need of clinical services, and deliver top-notch interprofessional training. The University of Vermont is a public research university located in Burlington, Vermont. This was reported by mHealth Intelligence on January 22, 2019.